For the third year of FOOD NIPPON, we are featuring Oita Prefecture, a region that has been referred to as “the land of plenty” since ancient times. Oita, with natural features and a climate rich in diversity, has sustained the development of various blessings of the sea and of the mountains, as well as local cuisine and traditional crafts that have been passed down through generations in several regions. 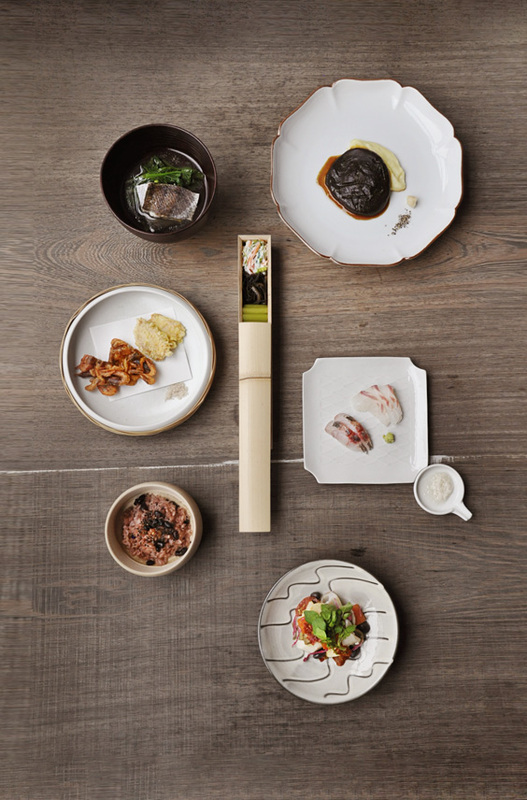 To share with you the charm of Oita, we will introduce our very own reinterpretations of the prefecture's cuisine, tailored to each season this year. 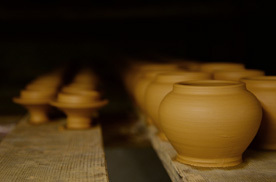 Starting Monday, March 16th, our spring event will feature the theme “Hakko” (fermentation). We first visited Kojiya Honten. 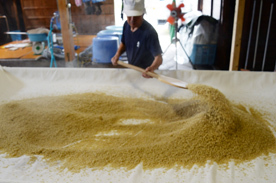 Established more than 300 years ago, Kojiya Honten cultivates koji starter, an absolutely necessary ingredient in the production of fundamental fermented foods of Japanese cuisine such as soy sauce, miso, and sake. Nine generations down, the current head of the house Myoho Asari has pioneered the promotion of using koji not only as an ingredient in fermentation but also as a seasoning for dishes. She has created many original recipes and currently travels around the world to popularize the many uses of koji. In Usuki City, we encountered the production site of a type of compost called “Usuki Yume Taihi.” Ohana Honpo, a nearby farm, uses this compost to fertilize their soil and grow vegetables without the use of any pesticides. 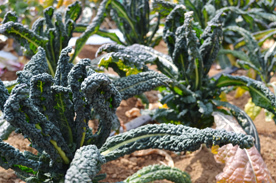 The pure and natural taste of these organically grown vegetables is truly delightful. 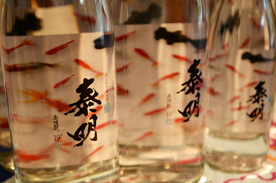 At Fujii Jozo distillery located in the southern part of Oita, we learned about the production of mugi shochu (barley-distilled shochu). 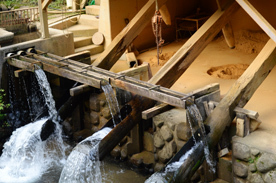 They use a special traditional, handmade method to produce koji and wooden barrels to create the fermenting agent, moromi. 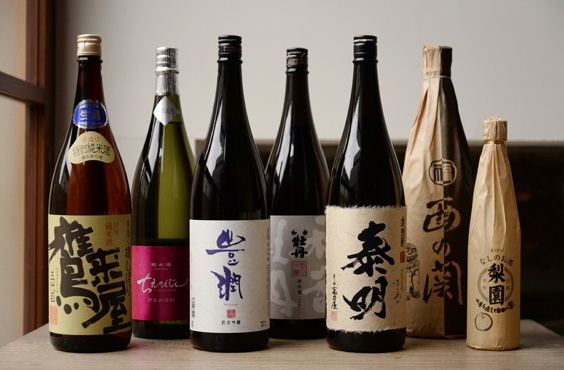 The resulting shochu carries an aroma rich in accents of barley and its refreshing aftertaste complements the dishes of Oita perfectly. 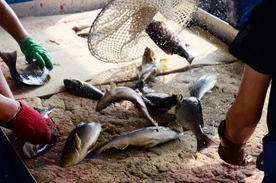 In addition to the various food cultures of Oita that are based on the process of fermentation, we will introduce “Seki Aji” (horse mackerel) and “Seki Saba” (mackerel) that have been fished from the Hoyo Strait and delivered under strict quality control. 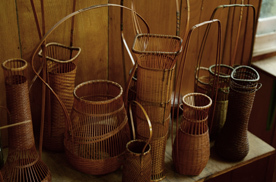 Since Oita boasts the largest production of madake (Japanese timber bamboo) in the country, we visited several bamboo craft ateliers and local Onta-yaki pottery sites that have been passing down secret techniques and traditions from one generation to the next since the early 1700s, when pottery was founded in the villages of Oita. Working closely with and learning from local craftsmen of the area, we created original tableware to be used throughout the event as a way to accentuate the cuisine. 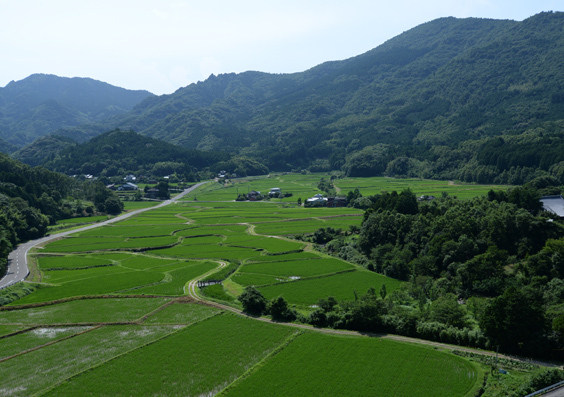 We chose to feature Oita so that we could share the charm and rich culture that we encountered during our visits with various local farmers and craftsmen. We hope you will come to taste the food of Oita. ＊ Photographed above are a few dishes from the Special Dinner Course. Fujii Jozo distillery Taimei, etc. During this event, we will serve sake and shochu from selected breweries including Fujii Jozo distillery’s “Taimei” barley-distilled shochu, five carefully chosen brands of sake, and a Japanese pear liqueur. We hope you will enjoy these special drinks alongside our Oita dishes. From Monday, March 16th, we will be exhibiting and selling a selection of crafts from Oita at the salon space in HIGASHI-YAMA Tokyo as well as at our sister shop HIGASHIYA GINZA. 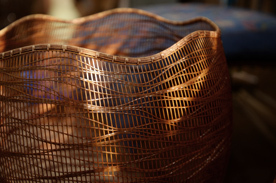 Thereafter, we plan to exhibit and sell these crafts at Zarai Oita in Ginza and Sanso Murata in Yufuin. Please come and visit us.